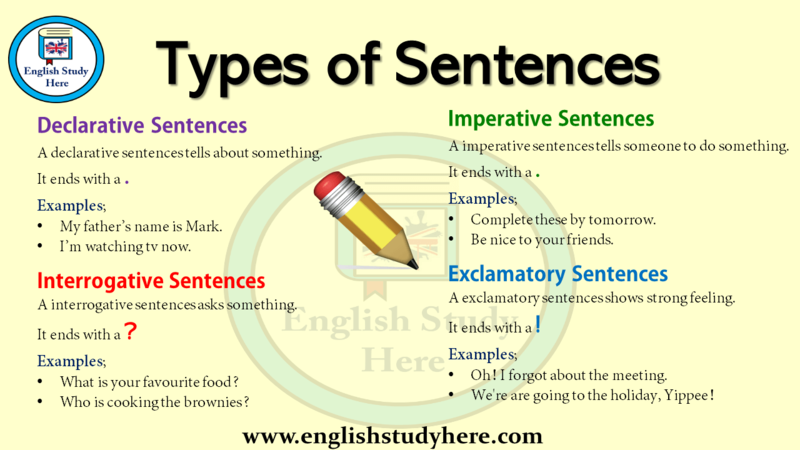 A declarative sentences tells about something. It ends with a . My father’s name is Mark. A interrogative sentences asks something. It ends with a ? Who is cooking the brownies? A imperative sentences tells someone to do something. It ends with a . A exclamatory sentences shows strong feeling. It ends with a ! Oh! I forgot about the meeting. We’re are going to the holiday, Yippee!